How do I add a user as an admin for a Catalog account in Canvas? 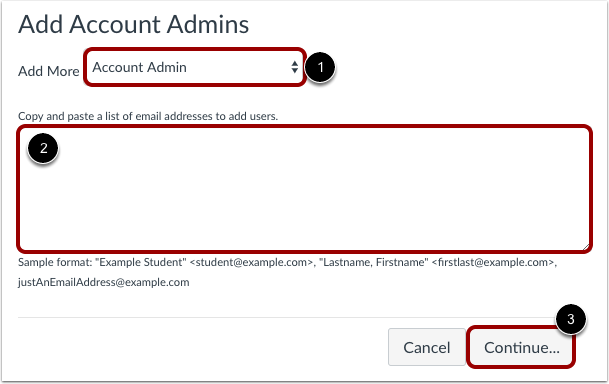 As an admin, you can add administrative users to a Canvas account in Account Settings. When you assign a user as an admin in the root account, that user has essentially all privileges in any sub-account in Canvas. Once you add users as admins, if the users already have a profile in Canvas, they will receive an email notifying them that they are now an admin for the account. If the users do not already have a profile, they will receive an email with a link to create a profile and access the account. 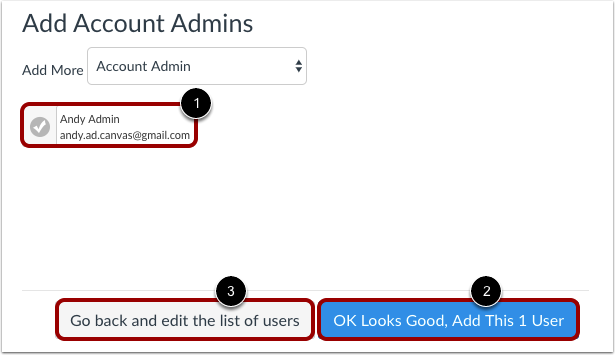 If you want to give a Canvas user rights to manage a catalog but not allow full admin access, you can add a user as a subcatalog admin directly in your Catalog account instead. When adding an administrative user, you must assign the user to an account role. Before adding a user, ensure that you have created the necessary account-level role. Your administrative user list includes the Catalog API, which is currently included in all Catalog accounts. 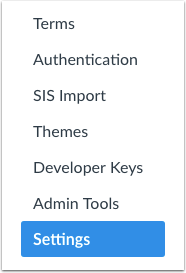 In the Add More drop-down menu , set the Account Admin role type. In the text field , type the email address of the user. Click the Continue... button . Verify the user you added is listed in the admin field . Select the OK Looks Good, Add this [#] User button . If you need to adjust any user information, click the Go back and edit the list of users button . Previous Topic:How does Canvas Catalog interact with my Canvas Account? Next Topic:How do I enable Canvas permissions for admins to manage a Catalog account? 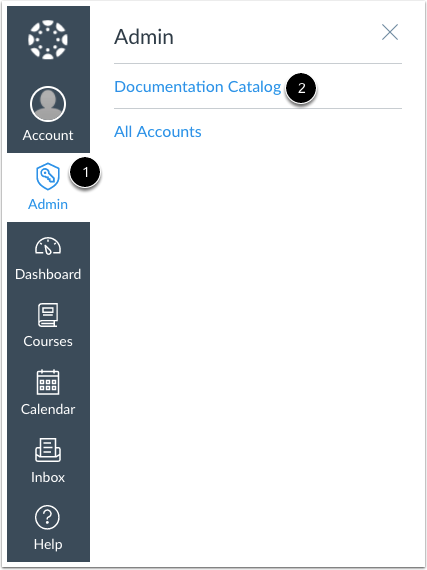 Table of Contents > Admins - Canvas > How do I add a user as an admin for a Catalog account in Canvas?